Liz Shrieve calls LowCountry Community Church home and works on staff inCharlotte with Youth With a Mission (YWAM). In September 2016, the Lord called me to serve with Youth with a Mission Charlotte (YWAM) after my high school graduation. Youth with a Mission is an international and interdenominational movement of Christians devoted to presenting Jesus Christ in a personal way to this generation, as well as training, equipping, and mobilizing believers for their part in fulfilling The Great Commission. They currently work in over 1,100 locations in over 180 countries, with a staff of over 18,000. During the first six months of my time at YWAM, I was a student in their Discipleship Training School. I had four months of intensive lectures and local ministry time, emphasizing growth in the areas of getting to know God better, His character, His will, intercession and worship, and God’s heart for the lost. 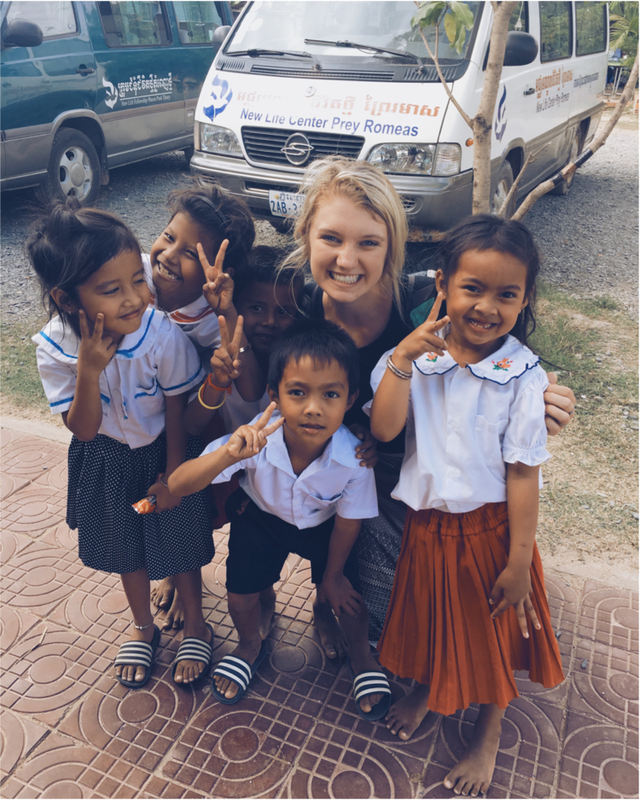 In January, I left with a team of eight for two months to live in a small village in Cambodia. While there, my team focused on relationship building with all ages in the village, teaching English as a second language to students every day, working with teens in small and large group settings, and doing multiple community service projects. I am now on staff with YWAM Charlotte, participating in their School of Leadership Development and Outreach. Their twelve-week course aims to fully equip students to be in full-time ministry through teachings on strengths and gifts, character growth, leadership skills, and understanding the call of God. Aside from teachings, students facilitate short-term youth outreaches, conferences, fundraisers, and serve in multiple areas of the community. The school prepares students to be on staff with YWAM at any location in and around the world, have an effective personal ministry, and serve in a local church setting. I have learned so much during my time with YWAM, not only about who God is, but about His heart for His creation. Thank you for your faithfulness in prayer as I continue to have the privilege to serve the Lord in this way.